Oyster Bay Sauvignon Blanc is a popular New Zealand White Wine available from DrinkSupermarket.com in 75cl to buy online. Visit DrinkSupermarket.com for the best price for 75cl of Oyster Bay Sauvignon Blanc or compare prices on our other New Zealand White Wine products. Full of exquisite gooseberry and tropical fruit flavours with touches of herb, this delightful Sauvignon Blanc gives the patron a crisp and refreshing taste which is why this wine to become as popular as it is today. A classic Sauvignon Blanc that is the embodiment of New Zealand's famous Marlborough region. Where to buy Oyster Bay Sauvignon Blanc ? Oyster Bay Sauvignon Blanc Supermarkets & Stockists. 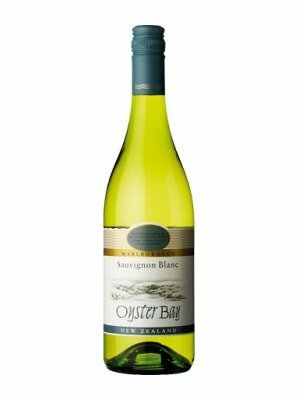 You can buy Oyster Bay Sauvignon Blanc online in most retailers and find it in the New Zealand White Wine aisle in supermarkets but we found the best deals online for Oyster Bay Sauvignon Blanc in DrinkSupermarket.com, Tesco Groceries, Tesco Wine, and others. Compare the current price of Oyster Bay Sauvignon Blanc in 75cl size in the table of offers below. Simply click on the button to order Oyster Bay Sauvignon Blanc online now.